Downtown Bel Air is positioned for growth. Before taking a look at the available spaces for lease and sale in Bel Air, Maryland, check out the most recent statistics. Located on the corner of Main Street and Lee Street, 101 N Main Street is a perfect location for your business to come to life. The 3,250 square foot commercial space is located in downtown Bel Air, where there is excellent visibility and exposure to foot traffic. The Corner Class A space features large windows with wonderful views of Main Street. 101 N Main St. includes an additional 800 square feet of storage in the basement, along with seven parking spaces! The space was previously used as a bank, which attributes to its open floor plan. Moving forward, this will allow for many different uses. Are you looking to open a restaurant or retail shop? 101 N Main St. has the characteristics you need! With many great amenities, 101 N Main Street offers endless possibilities. If you are interested in learning more about this space, please complete the contact form below. 110 S Main Street was the Bel Air Downtown Alliance’s first featured available listing. Forest Hill resident Kathi Gromacki saw the Alliance’s “Bring it Downtown” sign in the window and reached out to the Alliance’s Executive Director. Kathi discussed the space with the Alliance and was connected with the available space’s realtor. At first, Kathi believed the space was a bit spacious for her vision, but decided to take the plunge and fell in love with the space. Throughout the process of opening her businesses, Kathi reached out to the Alliance with any question that she had. Any question or concern that the Alliance could not address, Kathi was given information that would point her in the right direction. In October of 2017, Kathi’s vision came to life and The Nest on Main opened its doors to the public. The Nest on Main features items such as home goods, specialty foods, locally crafted artwork, and more. See below for a before and after picture! 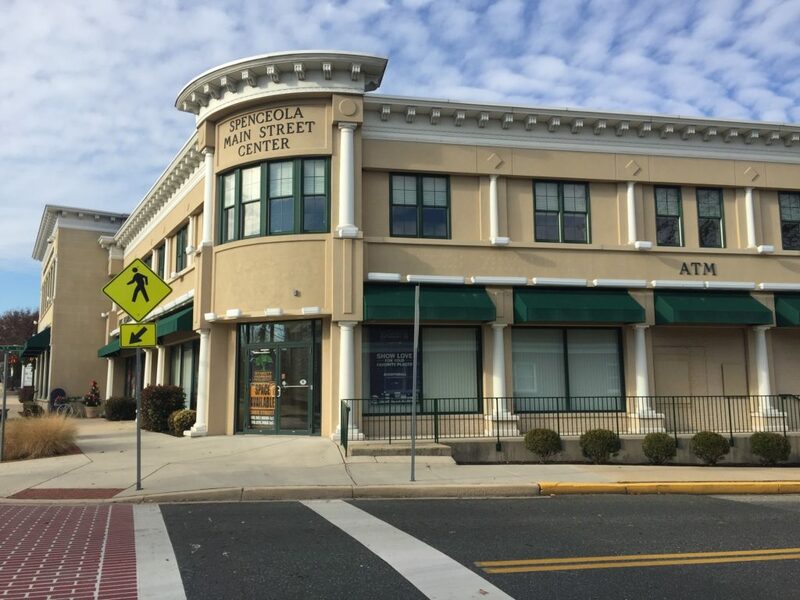 Town of Bel Air’s Economic Development Department publishes a quarterly report identifying commercial properties that are available for lease or sale. If you are interested in learning more about one of the properties, please call 443-823-1797 or fill out the contact form below.